Now instantly view product information without leaving the current page! Magento Quick Shop Extension enables users to quickly view product information without having to navigate to another page. 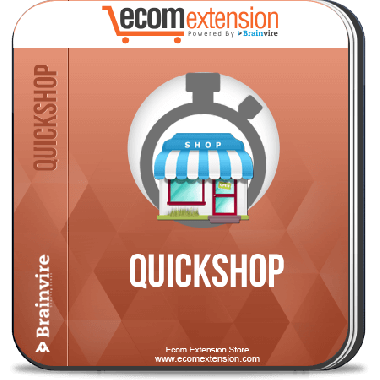 Magento Quick Shop Extension provides a rich and convenient product viewing experience while browsing products. 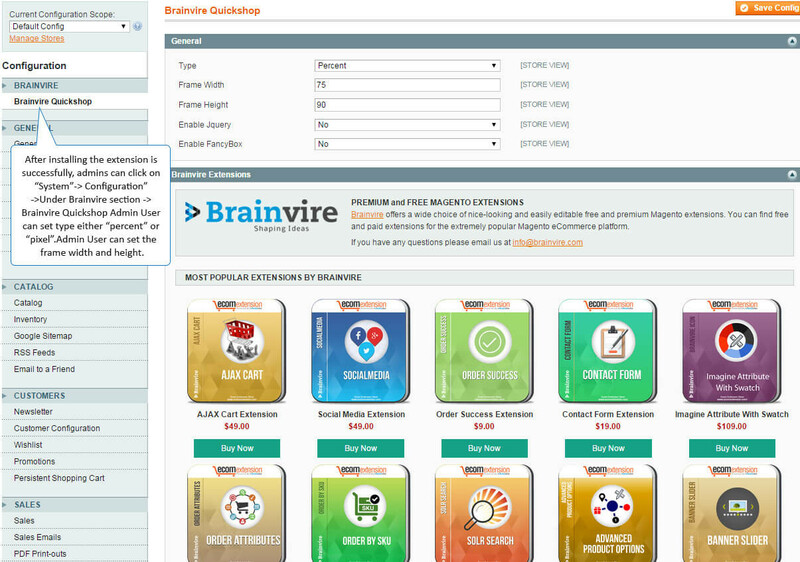 Users can view the complete product information directly from the categories page. If the product information is too long, this extension offers a “slider” option too! It’s quick, it’s simple and along with adding usability to your store design, it increases your chances of making that sale! The information that can be included in the Quick View Extension for Magento is product previews, images, product descriptions – short or long version and any additional information you feel appropriate. You can also place an “add to cart” button making things simpler for users and providing them with a great shopping experience! The Quick Shop Extension supports all types of products. The quick view is enabled for all types of products in a pop up on the categories page. 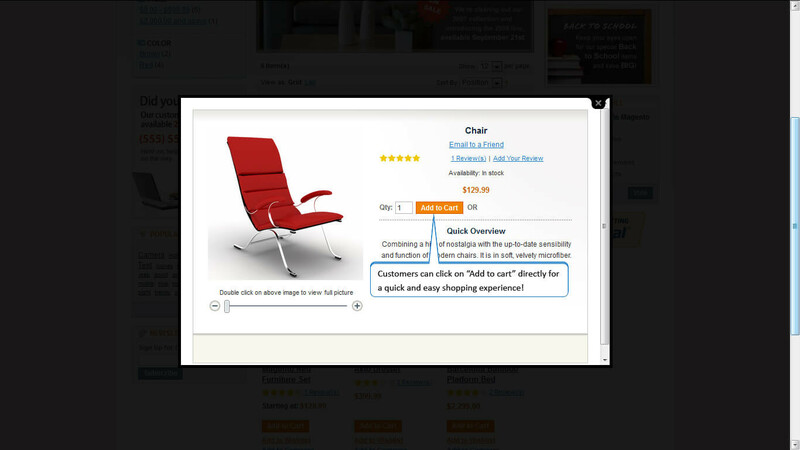 Enhances user experience by adding a “add to cart” button to the pop up for product details on the category page. It displays all the options for configurable product in popup itself. It enables features that allow users to select options for configurable products from the pop up and then add to cart too! Enables Admin Settings to select the size of the pop up frame size. Support all Magneto 1.4.0.0, 1.4.0.1, 1.4.1, 1.4.2, 1.5.x, 1.7.x. Cross browser compatible - Mozilla, Chrome, IE and Safari etc.